With Andy Palacio's groundbreaking Wátina, the BBC 2007 world music album of the year, the singer-songwriter-guitarist-bandleader-UNESCO Artist for Peace seemed poised to put the Garifuna Collective and Central America's Caribbean coast on the world music map. His triumphant tour of the Western Hemisphere and Western Europe culminated with the Collective's knockout appearance at WOMEX 2007 in Sevilla, where they and the Cumbancha label collected their BBC awards. Palacio's tragic January 2008 death at 47 was a body blow to his native Belize and the 300,000 Garifuna people of Belize, Guatemala, Honduras, Nicaragua and urban North America. Anyone who witnessed all that, or the massive popular outpouring at Palacio's mobbed state funeral in Belize, could be excused for thinking the best days might have passed. But they would be mistaken. Producer Ivan Duran and the Collective resolved to continue in tribute to Palacio and the music and culture he championed. 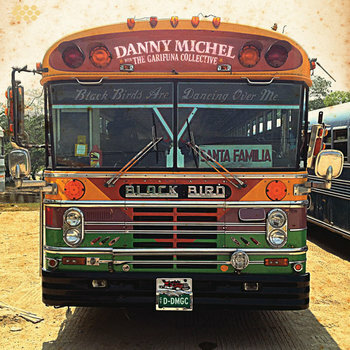 This summer they are touring Canada and the U.S. before moving on to Europe in the fall, behind Ayó and their Juno-nominated collaboration with Canadian singer-songwriter Danny Michel, Black Birds Are Dancing Over Me. The Collective's early July appearance with Michel at the Highline Ballroom was a homecoming for New York's substantial Garifuna population. An appreciative crowd greeted old friends, bantered with the band, and danced freely, lending the performance a special poignancy, especially when the extraordinary Garifuna singer-songwriter Aurelio Martínez, Palacio's erstwhile protégé, was called to the stage to sing, and dance as only he can, on a pair of songs most of the house joyously joined on chorus. The Collective's new release cultivates a knowing contemporary edge while simultaneously taking the music ever deeper into the African-Caribbean secular and spiritual Garifuna tradition. Singers Desiree Diego (maracas), Chela Torres (hand percussion), Justo Miranda, Lloyd Augustine (rhythm guitar) and Mohobub Flores (turtle shell percussion) constitute a powerful vocal front. They are expertly backed by worldly philosopher Sam Harris and Guayo Cedeño (lead guitars), utility singer-player Rolando 'Chi-Chi Man' Sosa, guitarist-bassist-producer Duran, bassist-guitarist-engineer Al Ovando, and Garifuna drumming masters Joshua Aranda and Denmark Flores. Mohobub Flores (who with Pen Cayetano founded the legendary Original Turtle Shell Band, whose Garifuna punta rock innovations defined an enduring popular regional dance style and laid the ground for Palacio and company) is a popular artist in his own right, and he lends a veteran's gravitas while melding impeccably with the group's collective spirit. 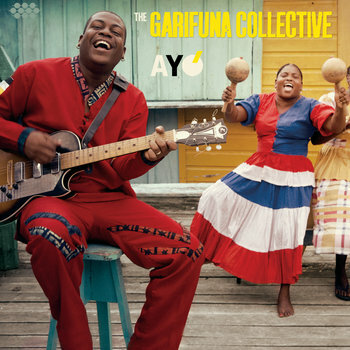 As its younger members, Augustine, Diego, Aranda and Denmark Flores have grown both as artists and proponents of Garifuna tradition, and they are now passing it on to engaged Garifuna youth who a generation ago might have spurned their roots for the siren song of global popular culture. With its complex layered sound, insistent rhythmic drive, creative soul and seamless flow - and the subtle revelations that come through repeated listening - the album's every song confirms the group's continued maturation, precisely because they have embraced Palacio's prophetic stance and carried it forward, projecting the music's nurturing personality throughout. “Ayó” (“Goodbye”), the opening track, is a muted invocation of Palacio, while Justo Miranda's closing “Seremei Buguya” (“Thanks to You”) is a salute to the master - very much in the hemispheric African American spiritual mode of honoring those who, having given all, now reside with the ancestors, even as they instruct and inspire a nascent transnational generation. Having never met Palacio, Canadian indie rocker Danny Michel admits to some trepidation when producer Ivan Duran invited him to an exploratory encounter with the Collective. Leaving his guitar at home, bearing only a handful of songs and lyrics to the Stonetree studio in remote western Belize, Michel wasn't sure what to expect, but a fluent musical hybrid resulted, derived from a deeper human and artistic investment than most Western artists have the sense to cultivate in their tentative, sometimes predatory incursions into “world music” collaboration. As the Garifuna have done for centuries, the Collective welcomed a stranger into their midst, the humanitarian key to a people's creative survival as a culture long besieged by powers greater than they. Michel's is an original voice that references and yet transcends the lyrical incision of Dylan, the songwriting gift and earnest poetics of Paul Simon, the depth of Bob Marley or Toots Hibbert, and hooks worthy of The Police and The Talking Heads. Listening deeply, learning from, and thus granting his Garifuna collaborators ample latitude in shaping the unscripted result, Michel is party to a fluidity of sound polished in the studio by Duran (aside to Ivan: there must be a story behind the voicemail from Chi-Chi Man tagged at the end of “Into the Light” -- a fond and characteristically mischievous touch). Michel's is an optimistic cosmopolitan spirit of probing social critique, human vulnerability and joie de vivre as musically felicitous in inspiration as it is disobedient of received categories. It's remarkable enough when a producer serves up a perfect album like Wátina, but following up with two comparably strong releases is the rarest of achievements. With the unrelenting drive of Garifuna percussion, superb guitar and horn work, and brilliant choruses and turnarounds, the terrific songs of Black Birds are too many to enumerate. But for this listener, the album's essence comes with the closer, “This Is What Is,” an enigmatic call-and-response ballad from somewhere at the end of the known world that opens simply but profoundly with octogenarian legend Paul Nabor tuning his vintage guitar and singing in the Garifuna language. © 2013 RootsWorld. No reproduction of any part of this page or its associated files is permitted without express written permission.